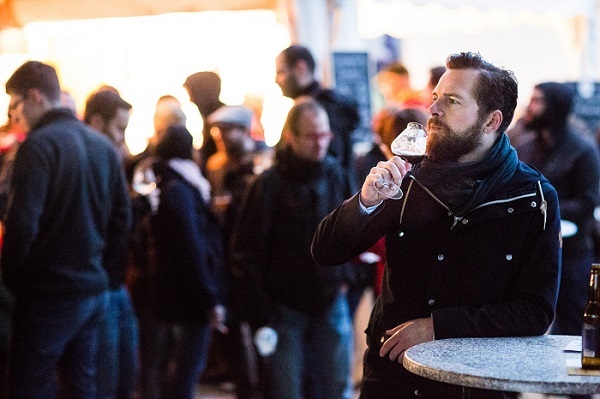 The weekend of 8 and 9 April 2016 saw the second edition of Craft Bier Fest, Linz edition. This is an off-spring of Craft Beer Fest Wien, started in 2014 by Michael – Micky – Klemsch. The first Fest turned out to be very popular so now it has two editions each year, all selling out. 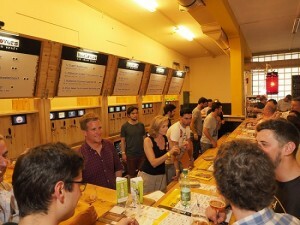 The Austrian beer scene has jumped into the 21 st century with these events and the end is nowhere near in sight. Linz offered 215 beers by 41 breweries from 15 countries! Austria has a massive history in beer and still boasts the most breweries per capita of all European nations. Surely we credit Joseph Groll and his friends with the invention of pilsner in 1842 but he would have been unable to do so without the work of Anton Dreher, who came up with Vienna Lager just two years earlier. 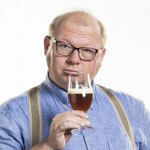 Without his groundbreaking work all beers may still have been murky and dark up until today. Vienna Lager is a direct predecessor of pilsner, albeit being much more malt based and darker in color. This style, together with Hefeweizen, Dunkel and Märzen, dominated the Austrian beer market for decades (bear in mind Märzen in Austria is more a Helles Lager and has nothing to do with German Märzen, although both are bottom fermented). In short, for years, Austrians were quite content with the beers they grew up with and saw no reason whatsoever to change anything. But the times they are a-changing, and beers from other countries made their way into Austria, sparking an understanding there’s more to beer than Märzen and Hefeweizen with the locals. When Vienna-based beverage wholesaler Rudolf Ammersin started to import craft beers too, things rapidly shifted into fifth gear: joining forces with Micky Klemsch and some adventurous young brewers they unleashed craft beer unto the Austrians, who took it in like cardinals take God’s word. Today Vienna has at least twenty bars with a remarkable selection of (inter)national beers, and perhaps ten restaurants that really make beer and food bring out the best in each other. Notable places to visit are Hawidere for beer and burgers, Brickmakers (great ribs and a grand smoking room) and Charlie P’s with serious culinary aspirations. Besides this, Vienna may well have the most advanced and quality-conscious beer store of all of Europe: check out the cold rooms of Beerlovers! Enjoying is tasting; tasting is enjoying! Back to Linz. Being a city focused on (heavy) industry, beer consumption has been – well, very traditional. They’d frown upon a Heineken, were completely unaware of Belgian beer and had heard terrifying stories of English lukewarm ales. Last year, the first edition of Craft Beer Fest brought some two thousand visitors over two days with eyes wide open. 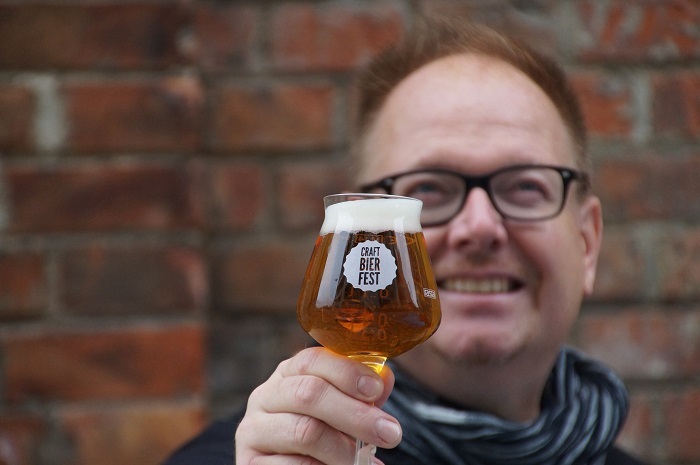 Besides the beers and breweries they knew (Stiegl, Rieder, to name a few) they were taken aback by experimental breweries like Steamworks, Thornbridge, Flying Dog, Crew Republic and Mikkeller. Working the bar, I served a lady an Oatmeal Stout – she took a careful sip, then looked at the glass as if there was a burning rabbit in it. When she later dared to try an India Pale Ale she looked at me as if I’d gone completely out of my mind, and I believe that if she’d had the power there and then, she would have sent me to the salt mines for life. Linz was not quite ready for beer 2.0. To my utter amazement things changed significantly over the course of a year. Close to four thousand people turned out for the recent event and most were eager to try just about anything. Asking for a Bevog Rudeen, a Black IPA from a Slovenean-Austrian brewery seemed routine. Thornbridge’s Bear State, a West Coast IPA crammed with hops, was casually enjoyed by an elderly gentleman who clearly was of the impression the brewer had been holding back – unnecessarily. Anchor IPA, Rodenbach Grand Cru (yup, even Palm Breweries send a delegate to Craft Beer Fest! ), Beavertown Rye IPA or Blackstoc Hoppy Cider: they went like cupcakes at the boy scouts Jamboree. And it got even better, as the local brew scene has now caught on. Believe you me when I say that by 2020, Austria might very well be thé up and coming revolutionary beer country of Europe. Curious? You don’t have to wait for Craft Beer Fest Linz 2017 as Vienna will host its own by the end of this month. See details here, and while you’re at it, think about a weekend here. Besides the glorious architecture, the phenomenal shopping streets and the constant awareness of Sissi and walzing, Vienna is becoming a beer destination very quickly. Just check it out!